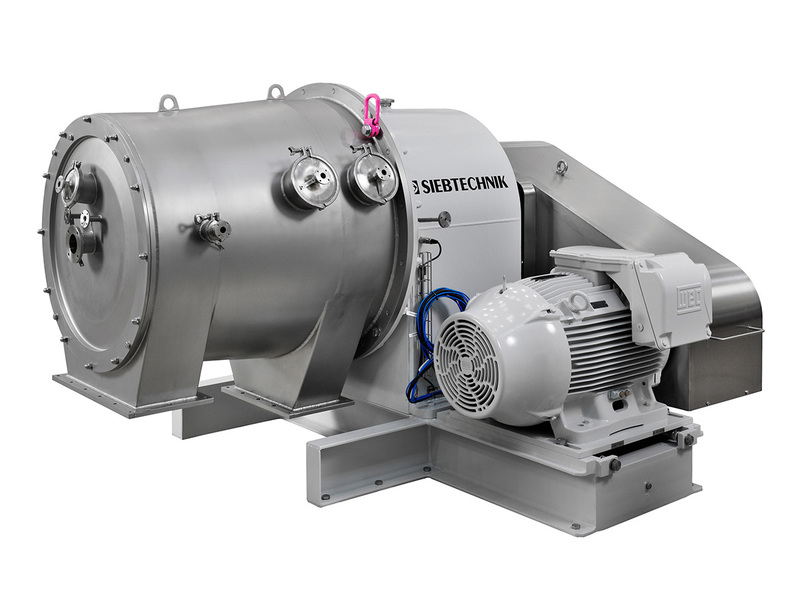 The SHORTBOWL decanter centrifuge is designed overhung-mounted. Because of the special geometry of the rotating parts it is highly suited for the separation of fine solid particles having a specific gravity that is very different from the liquid phase. 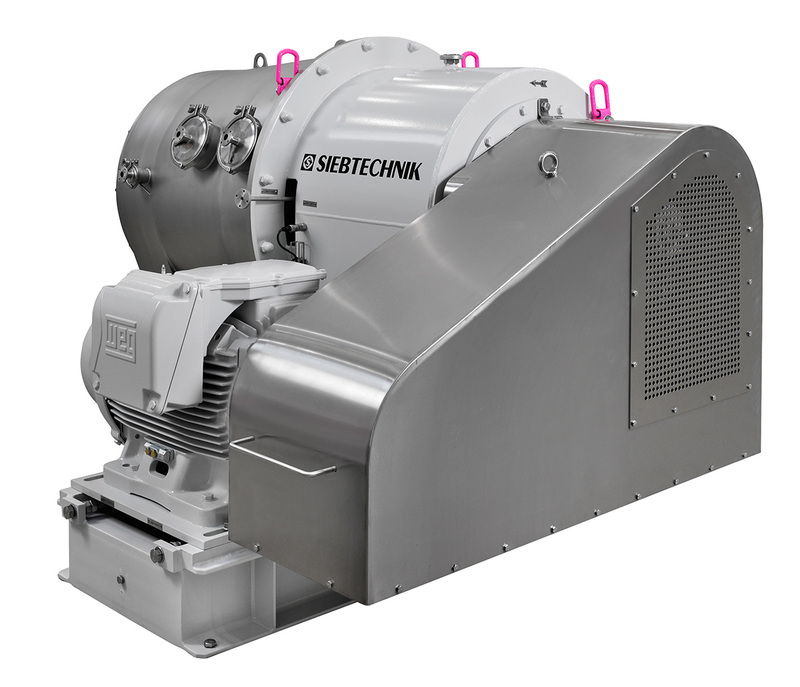 The design principle with its strict separation of process and drive unit makes this decanter ideal for applications in pharmaceutical or food manufacturing operations (CIP standard). 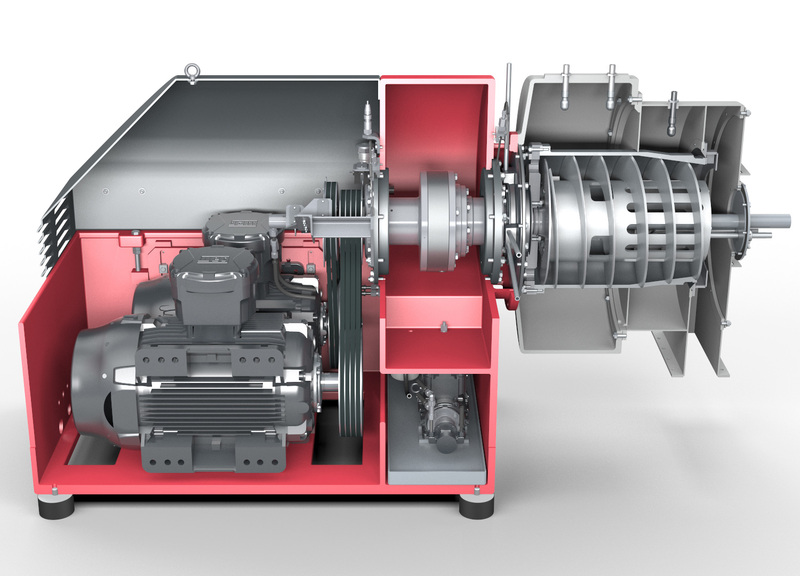 This machine concept also means that the decanter can be used in high-temperature areas or for pressure-tight processes. 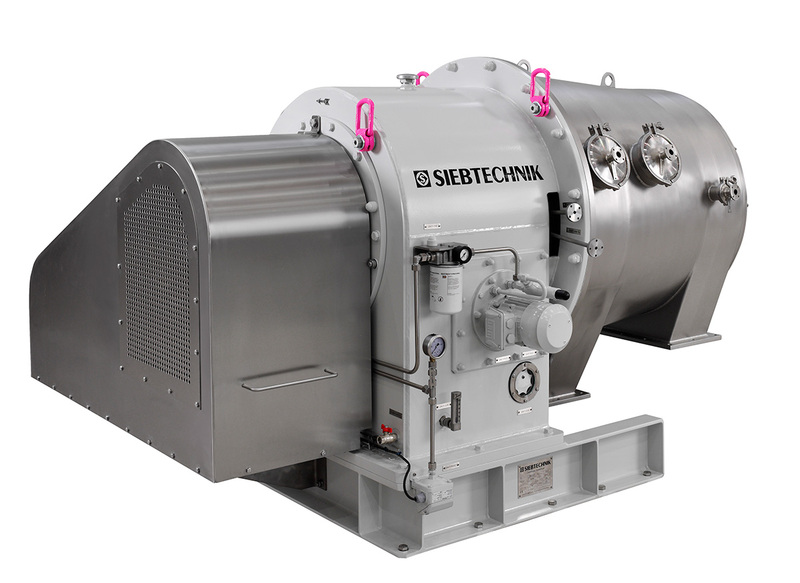 From laboratory standard through to rough work in the primary materials industry the SBD decanter is ideally suited. 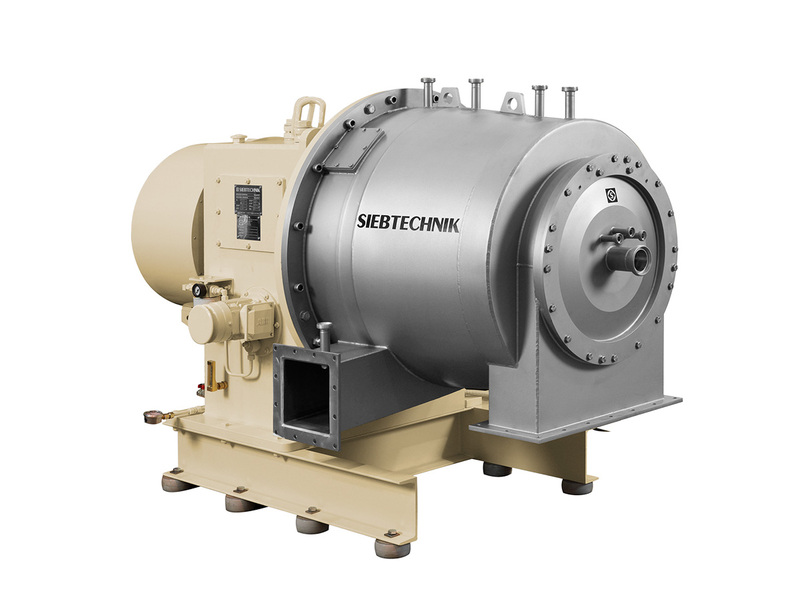 Versions in special materials, explosion protection and inert gas overlay or hot gas blanketing have been part of our offering for over 50 years. We also increase operational reliability by fitting oil-circuit lubrication for all bearings, including gear unit and worm bearings. We also offer this version with USDA certification. Product washing can be more advantageously carried out than with normal decanters. 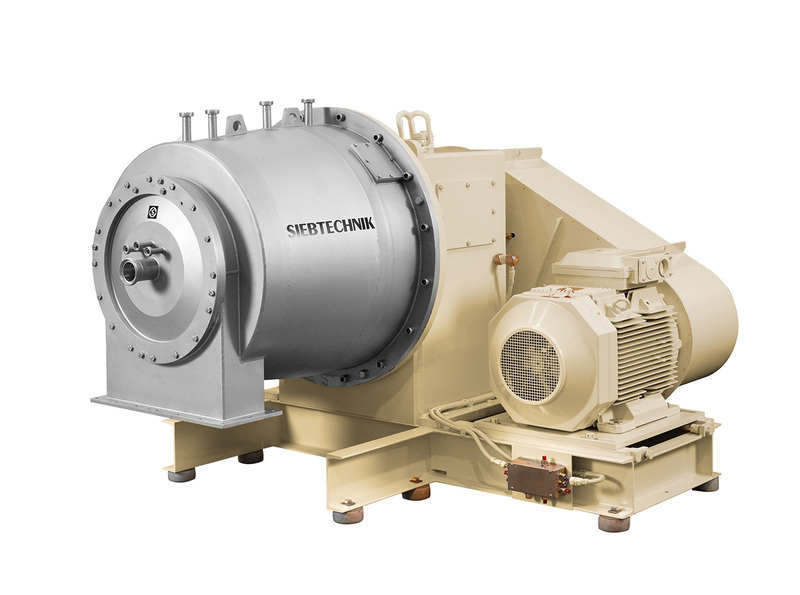 On this solid bowl centrifuge the rotating parts are especially advantageously overhung-mounted. 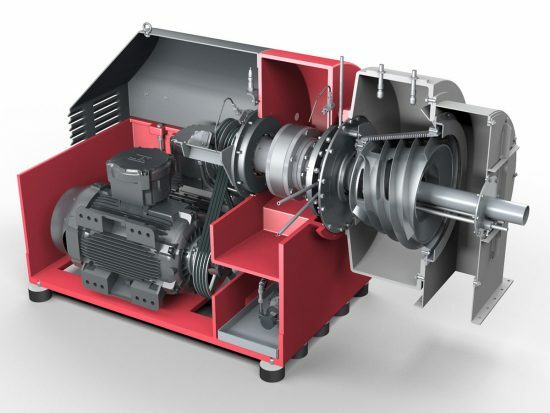 The centrifuge rotor ends behind the partition wall of the solid matter discharge chamber and so guarantees a free and unobstructed discharge of solid matter from the product housing. 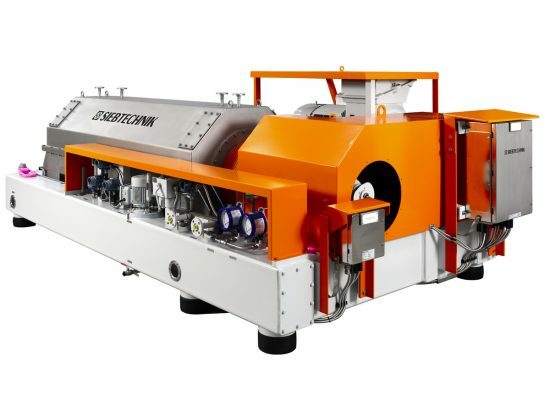 The SHORTBOWL is designed for solids with good sedimentation behaviour, i.e. 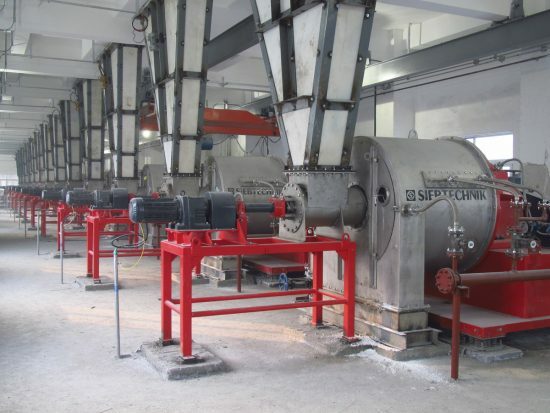 for fine solid particles having a specific gravity that is very different from the liquid but also for solids with sufficient particle size and sedimentation tendency in the available dwell time. The short design has already proved to be an advantage for the classification of solid particles. 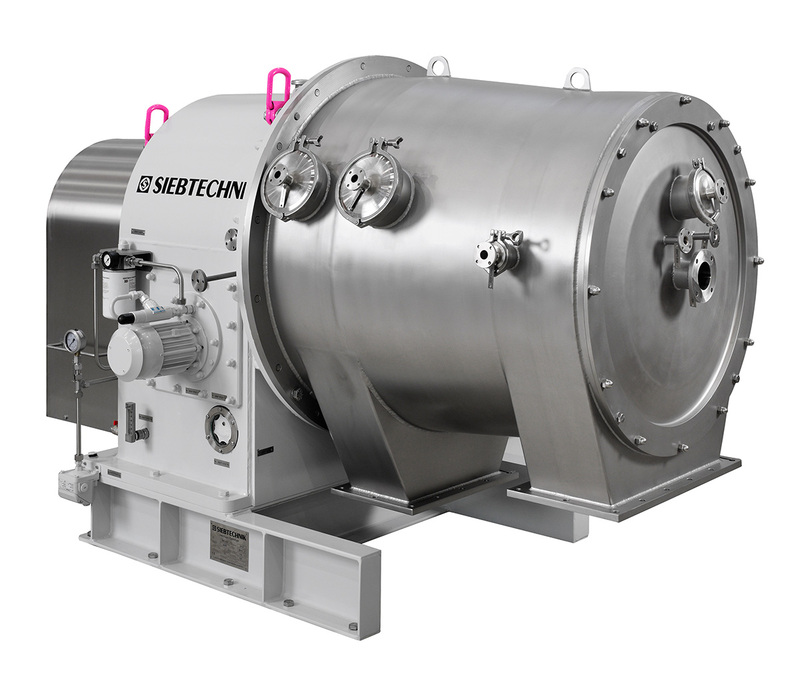 Despite the relatively short solid bowl, in the right application the SHORTBOWL is a continuous high-performance centrifuge giving optimum separating results. To separate the solid matter from the liquid, the suspension is conducted into the feed chamber of the worm element through an inlet pipe. From there the product passes through apertures into the centrifuge bowl and is accelerated to peripheral speed. At many times gravitational acceleration the solid matter settles on the inner surface of the bowl and is conveyed by the conveyor worm to the discharge end of the conical part of the bowl. The filling volume in the cylindrical part of the solid bowl and so the length of the dewatering section in the conical part is preset by means of adjustable weir plates. 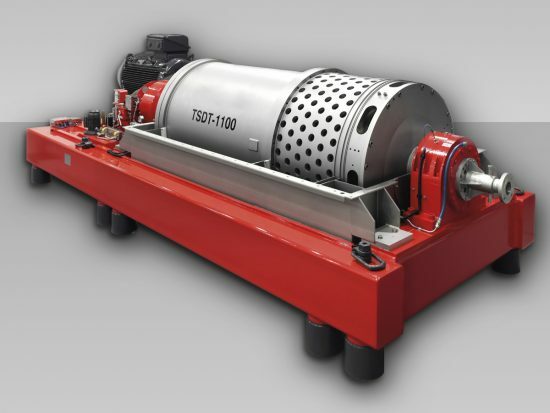 The correct ratio of clarification section to drying section must be determined for the specific product in preliminary tests or in normal operation.